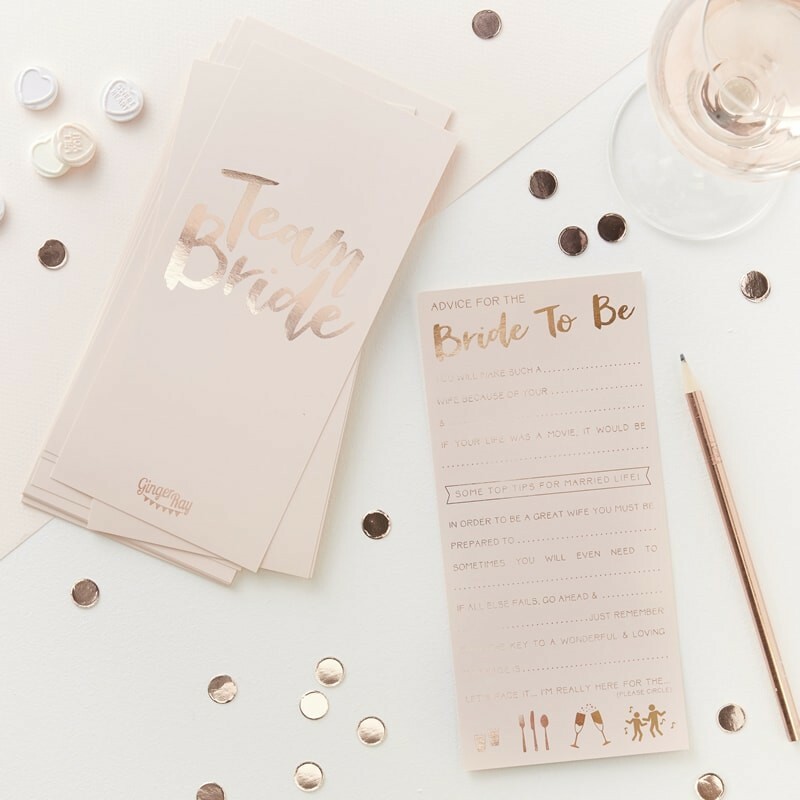 Have fun at your Hen party with these stunning pink and rose gold foiled advice for the bride to be cards. 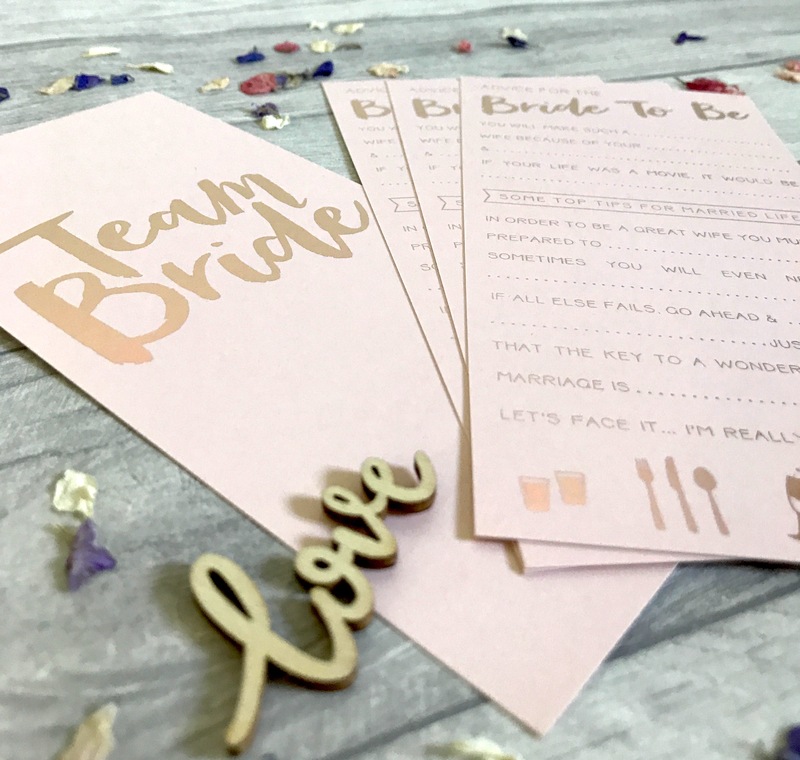 The cards have space to fill out great advice for the bride to be! Perfect to look back on in years to come! Each pack includes 10 cards. 11cm (W) x 22cm (H).